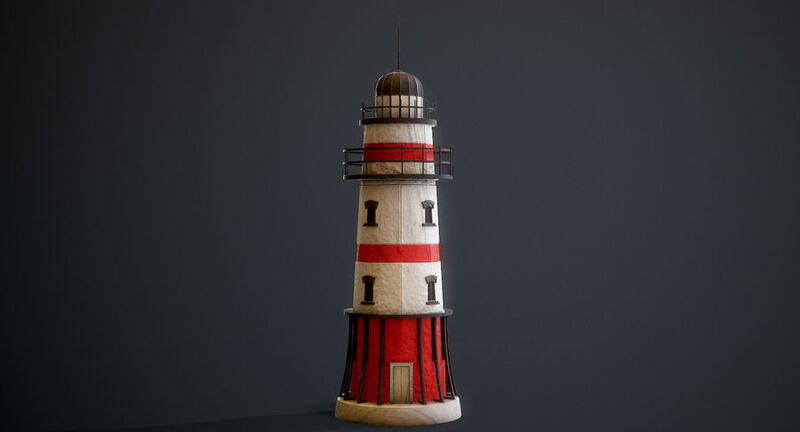 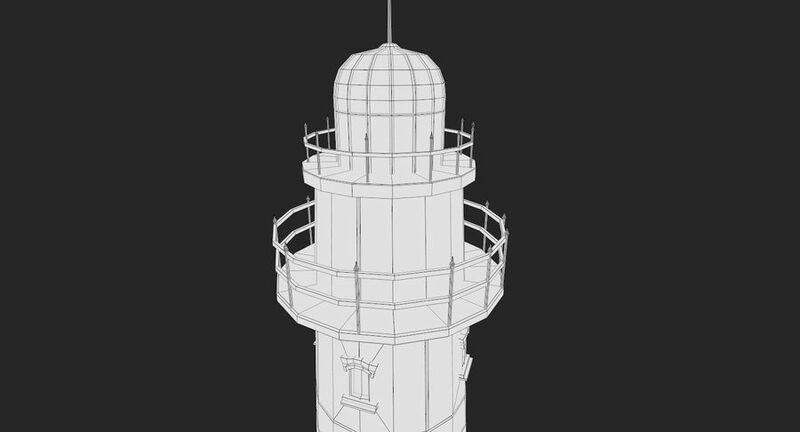 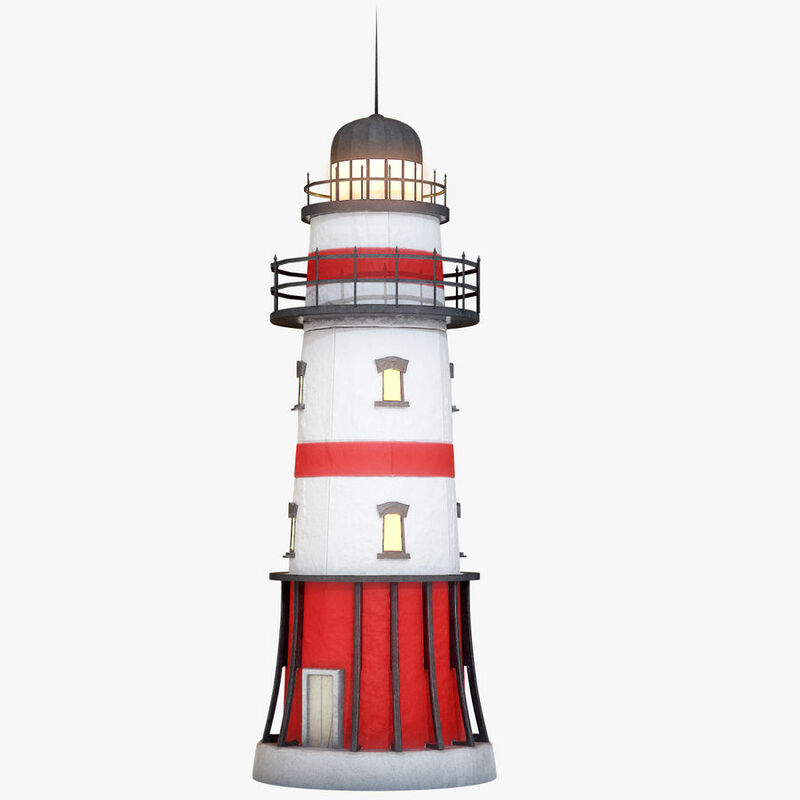 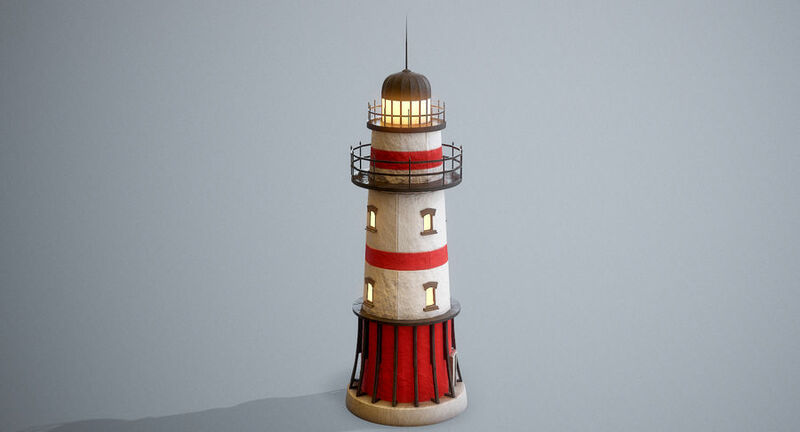 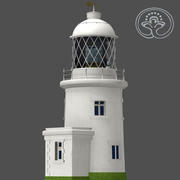 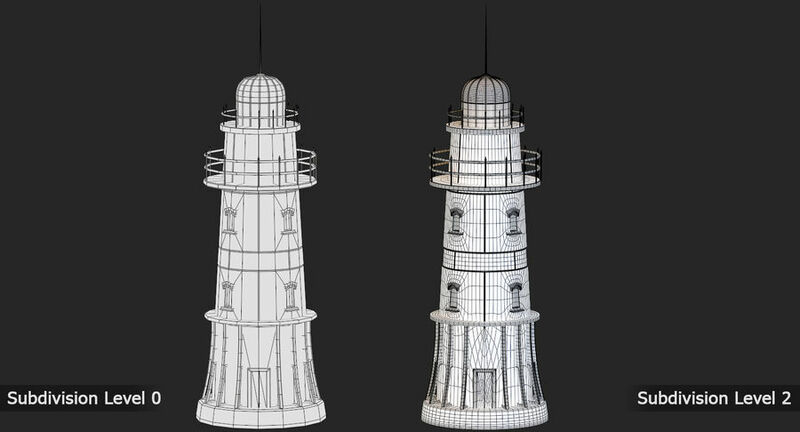 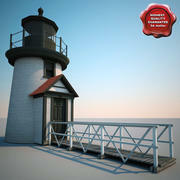 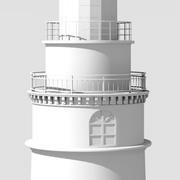 Stylized high detailed Lighthouse low poly model with high resolution textures. 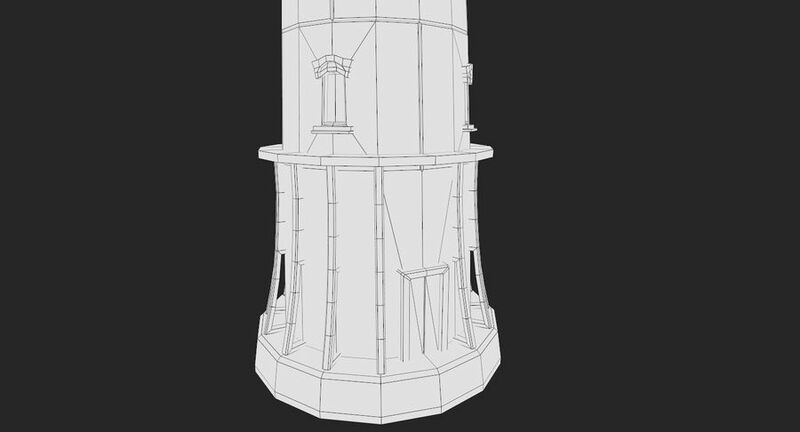 The model has clean topology and it is good in any iteration of smoothing/subdiv. 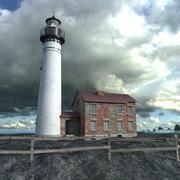 Game ready model - can be used in game engines and realtime scenes. 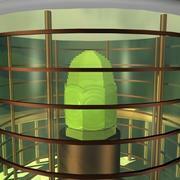 =======FEATURES=========== - The units of measurement during the creation process were centimeters. 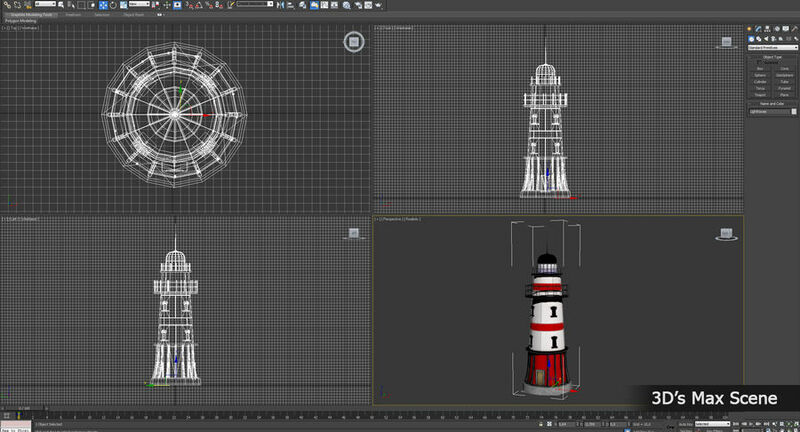 - Clean and optimized topology is used for maximum polygon efficiency. 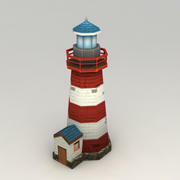 - No extra plugins are needed for this model. 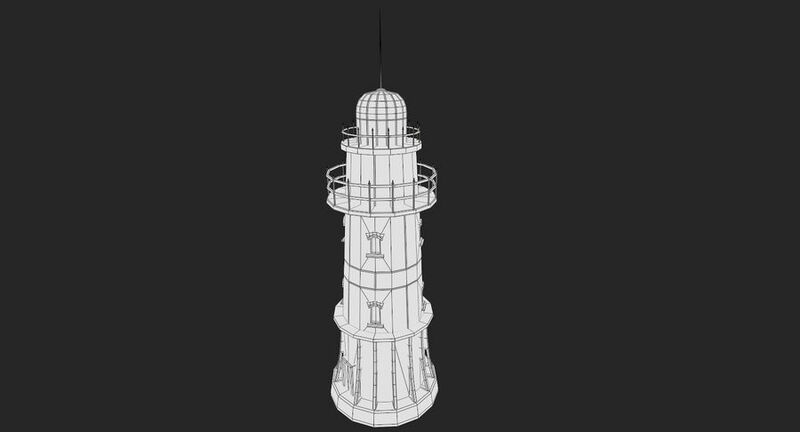 - This model consists of 1 mesh. 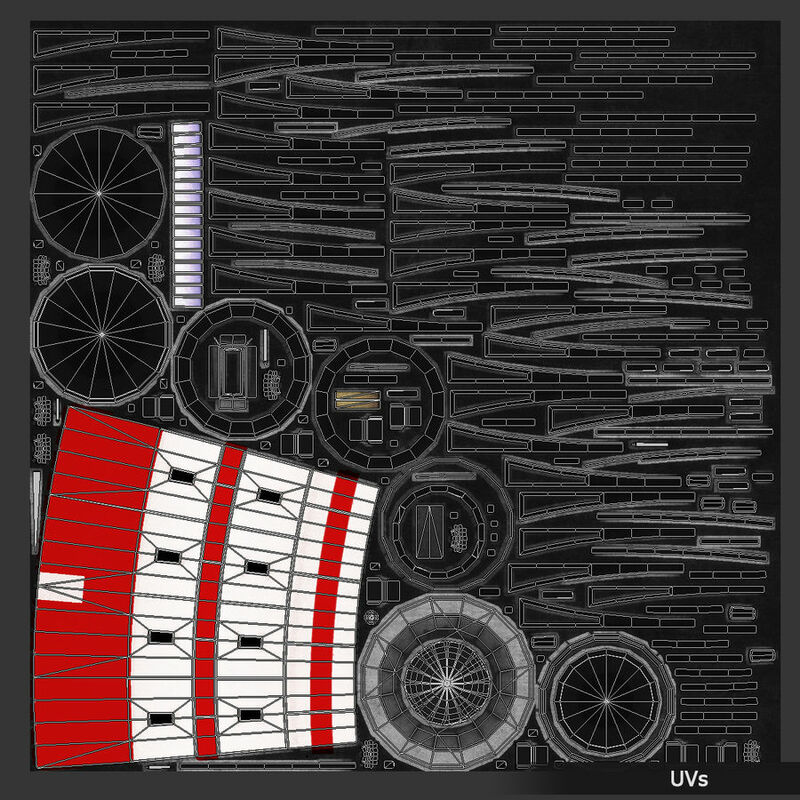 - All objects have fully unwrapped UVs. 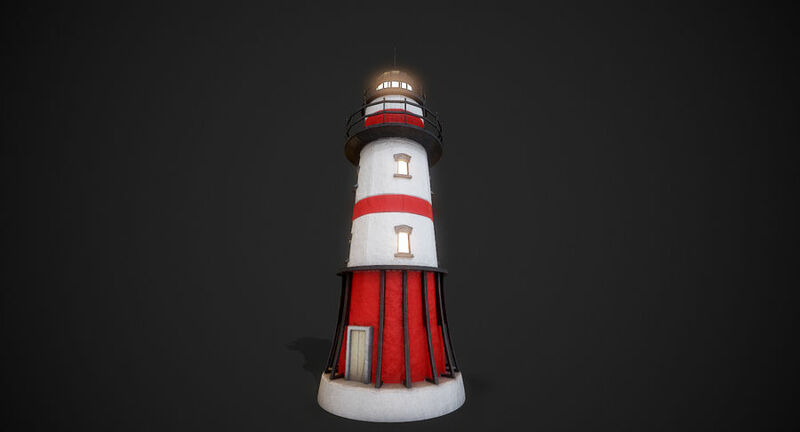 - The mesh has 1 pbr material, clear UV, textures and maps. 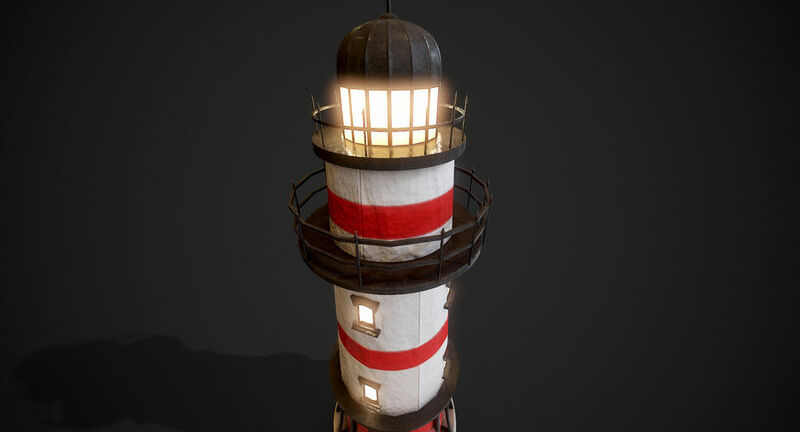 Includes 2048x2048 textures (Diffuse (Base color), Metalness, Normal, Roughness, AO, Emissive maps). 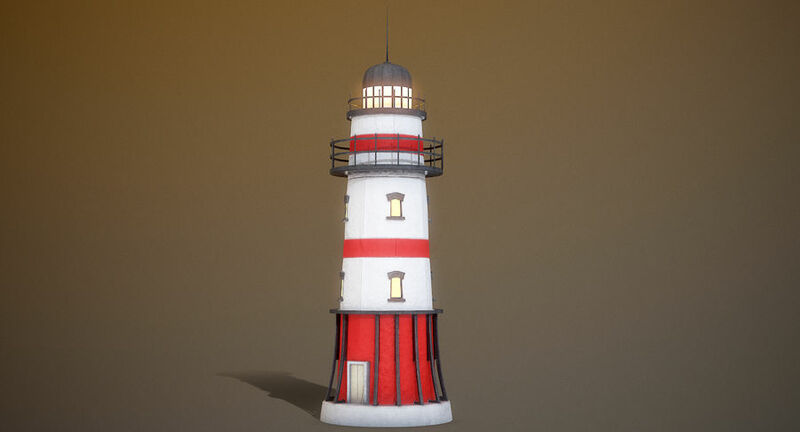 Textures are in .png file format. 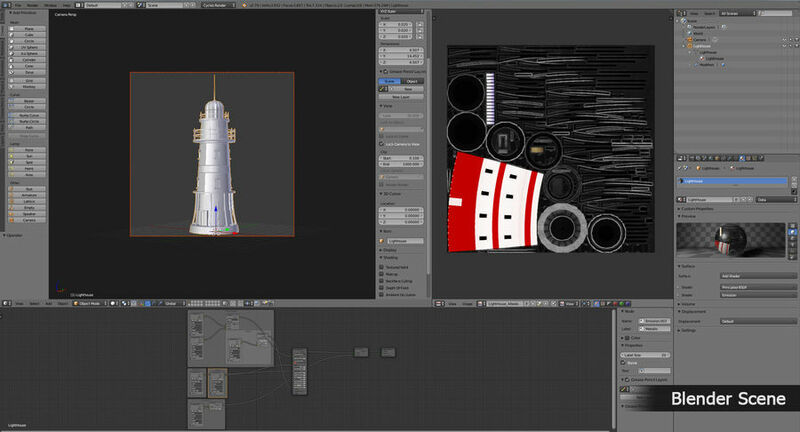 All textures are in 'Supporting items' and in 'Blender' archeive. 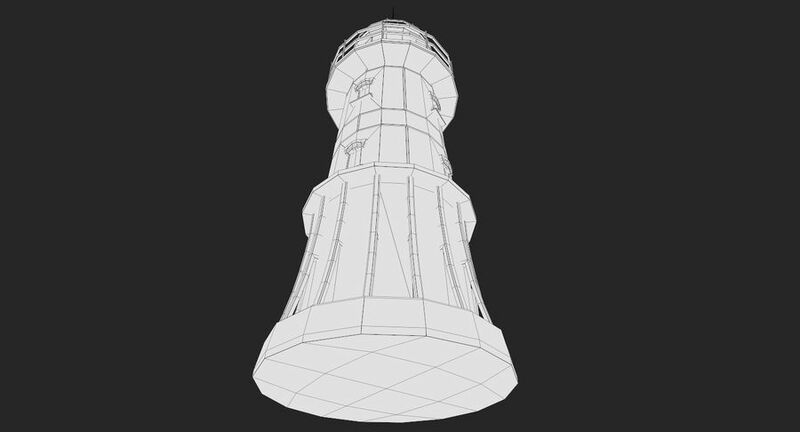 =================== Model is in .blend, .max .dae, .fbx, .obj, x3d (Extensible 3D), .stl file formats. 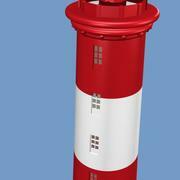 (.blend is native file format). Made in Blender 2.79. 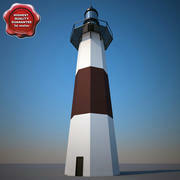 NOTE: Just .blend file is CheckMate Certified! 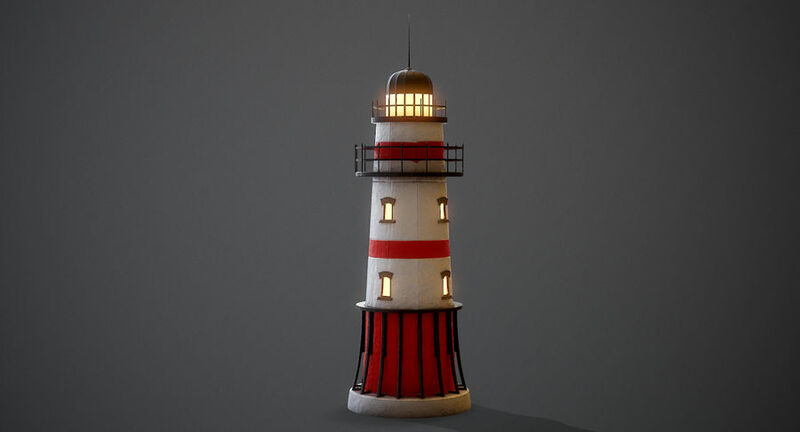 NOTE: This model contains poles (more than 5 edges that converge to a single vertex) =================== Scene render used hdri maps (not included). 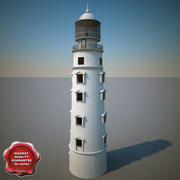 --- Don't forget to rate the model, this is important for us.